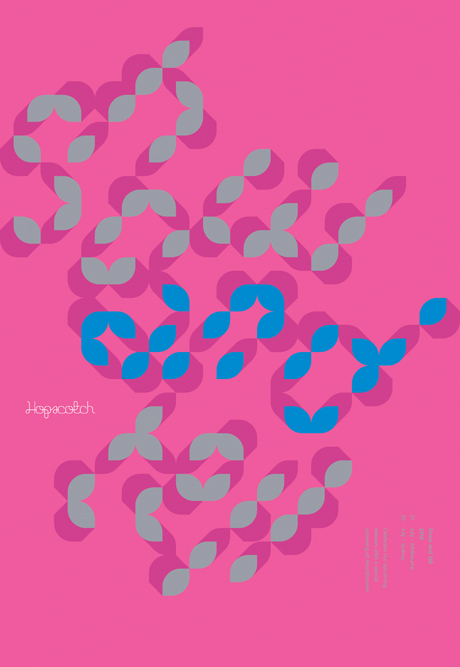 Mark Gowing Design has produced a large body of work over the past 13 years, and received an admirable list of accolades, both here and abroad. In the backyard studio, I meet with Gowing to discuss how he has got to this stage in his career and his views on the Australian design landscape, culture, country and the future of design. Gowing tells me that the person who led him to graphic arts as a teenager was his grandfather. A lifelong sign-writer and calligrapher, Gowing’s grandfather pointed out that Gowing’s hand drawn type and replicas of his favourite brands mapped out all over his maths book were actually logos and typography. He told his grandson that he could create a living out of this as a graphic artist. Gowing began his career after attending work experience at a publishing company while still in high school. This work experience turned into a regular holiday stint, which then led him to being offered his first role as a designer. From here Gowing spent most of his youth working away as a designer. Twelve years in, he hit a wall of disillusionment and exhaustion – feeling a lack of passion and enthusiasm for what he was doing. Spurred by this feeling, he began his own studio, with the intention of working from his bedroom for three days a week and to have fun and live life for the rest of the time. From this down time, he regained his passion for design, began investing in great design books and studying the subject. It is from here that Gowing started to take his business more seriously and when the studio really began to flourish. Optimism Australia Icograda, 2010. 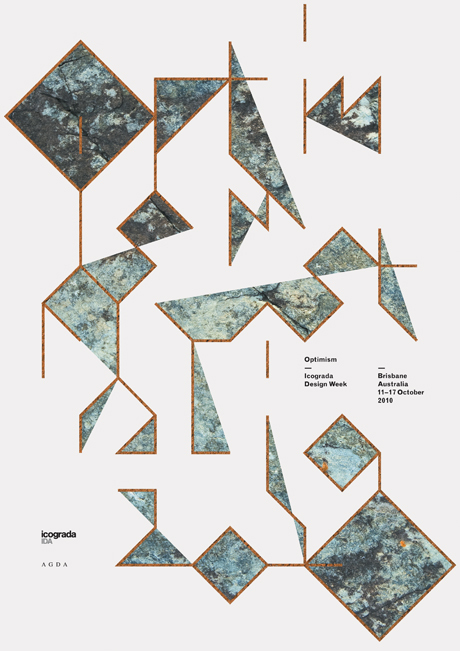 A poster to promote the 2010 Icograda conference in Brisbane. Dark Matter: works by Claire Healy and Sean Cordeiro. Gallery Barry Keldoulis, 2009. 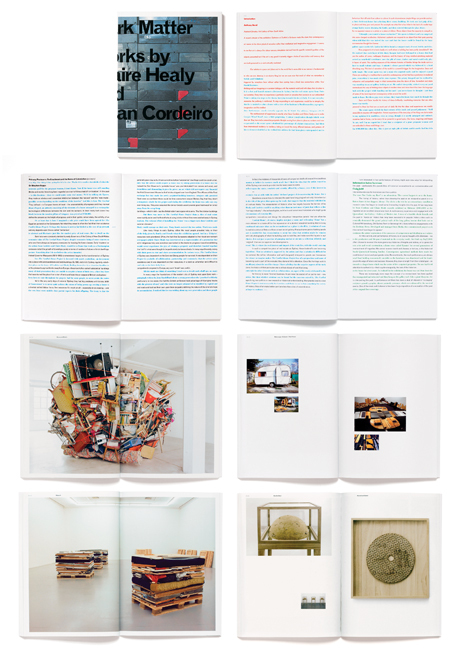 A publication commemorating the Claire Healy and Sean Cordeiro exhibition at the 2009 Venice Biennale. 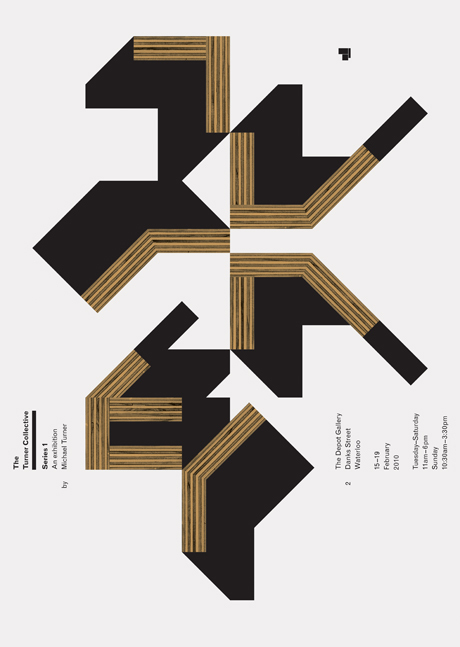 Closer to home, and while on the theme of cultural design, a portion of Gowing’s work (both client-based and self-initiated) has expressed ideas and visuals of Australian culture through his often typographically driven, minimalistic, geometric style. How does the Australian designer find a place to express a culturally infused outcome within the mire of global generic design outputs in this day and age? For Gowing, this is about the landscape and the features of our country that inspire this. What I particularly admire about Gowing’s work is that it does not literally express Australian identity visually, as it’s so often represented in mainstream culture. Rather, his design reflects a sense of place and identity through his own design aesthetic – forms and colours, conceptually weaving his connection to Australian cultural influences through his design explorations. It’s when it’s not strikingly obvious that it works most effectively and resonates as an Australian design. It’s a mysterious and personal connection to Australian influences. Kanyini. 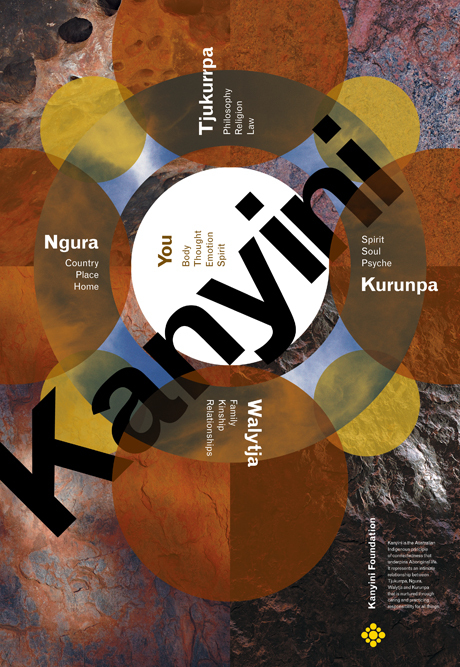 The Kanyini Foundation, 2009 Educational poster to explain the meaning and values of the Aboriginal belief system, Kanyini. 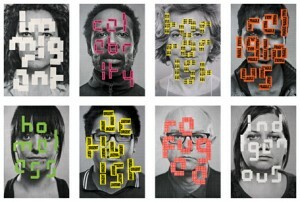 The Turner Collective identity. The Turner Collective, 2010. 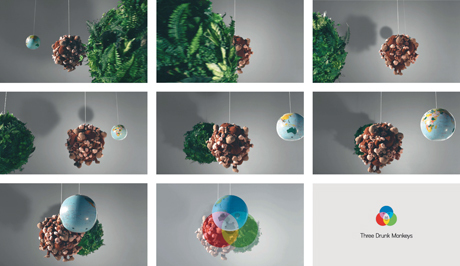 Trademark for a furniture object design company and campaign graphics promoting their launch exhibition. I tend to agree that unity is required across all design organisations to work towards common Australian goals, especially as the industry grows and work opportunities are expanding due to technology and streamlined communication platforms. How will the Australian designer keep up with this and does an internationally recognised designer like Gowing feel pressure to perform at a global level? 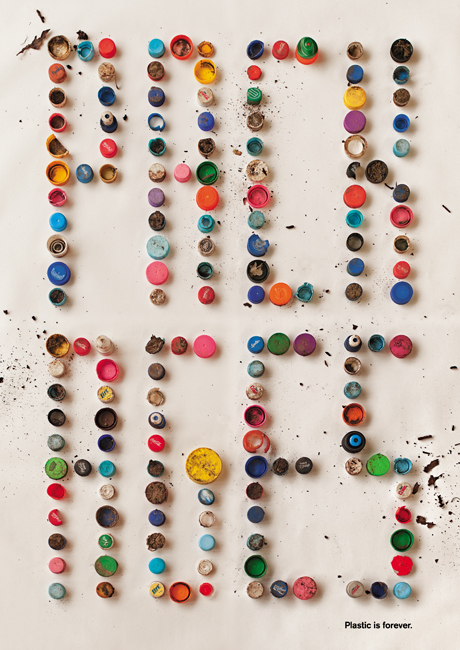 Packages Australian Poster Annual, 2010 Ideological response to the overuse of plastic in packaging. Show and Tell identity Hopscotch Films, 2010 Campaign graphics promoting a Hopscotch film event. Hopscotch Films identity. 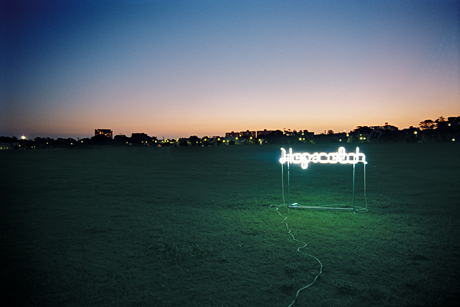 Hopscotch Films, 2002. A trademark, motion identity spot and still set for an art house film distributor. The role that a contemporary designer plays is one of diversity, complexity, influence and rigour. It’s nice to know that within the Australian industry and internationally we have a fraternity of like-minded passionate individuals, quietly and sometimes not so quietly working to redefine the mission design can have within our own backyard. Sitting down with Gowing, it is clear to me why he has earned so many accolades over the years. He is a highly energetic and passionate designer who cares very much about what he and his fellow design colleagues produce and contribute to this world. Passion for what we do and a sense of community is what we need, in order to create great, long-lasting outcomes and to make a real difference. 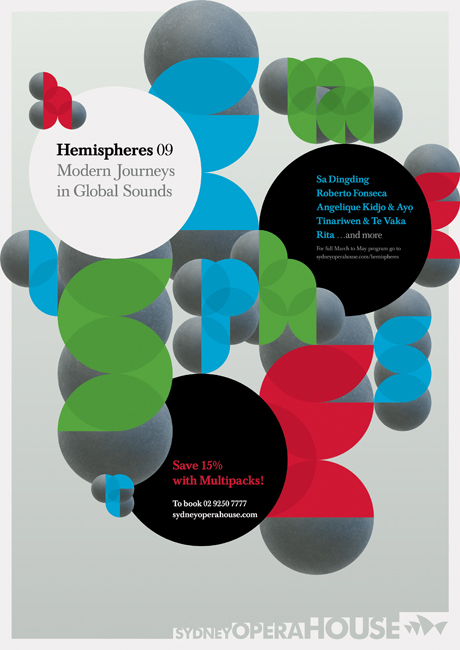 Mark Gowing is certainly a part of this. Three Drunk Monkeys identity. Three Drunk Monkeys, 2009. A trademark and motion identity spot for an advertising agency. FirstCut Studio identity. FirstCut Studio, 2010. Trademark for a music composition and production company. Thumbnail image: Labelled – 8 poster set. Immigrant, Celebrity, Terrorist, Religious, Homeless, Activist, Refugee, Indigenous. EyeSaw, 2009. Ideological response to the prejudice of labelling people based on appearances. Ready-made stickers on laser plotter prints. Images copyright Mark Gowing Design. 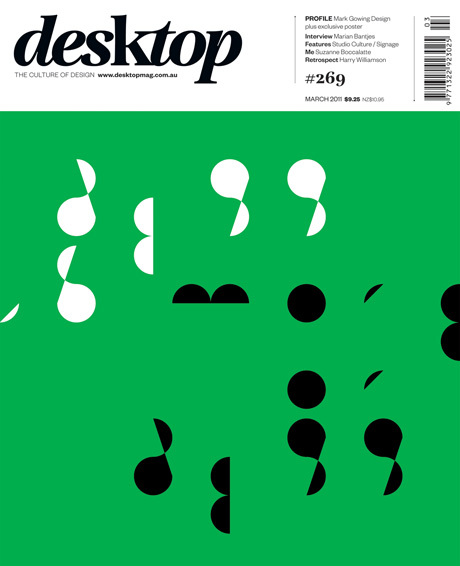 Subscribers: The Self-Publishing issue is here!